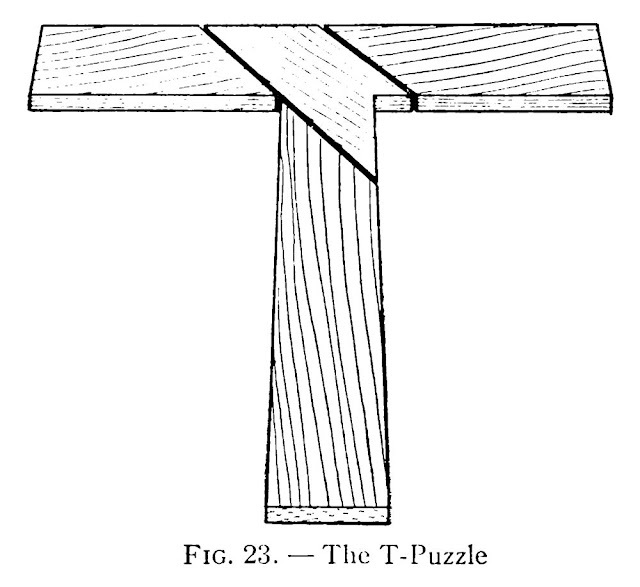 While making puzzles, let us make a model of The T-Puzzle, a famous old puzzle that is more difficult to assemble than it looks. Figure 23 shows it put together. The key to the solution lies in properly placing the irregular-shaped block at the intersection of the vertical and horizontal members of the letter. Once you get the position of this, the other pieces are easily assembled.